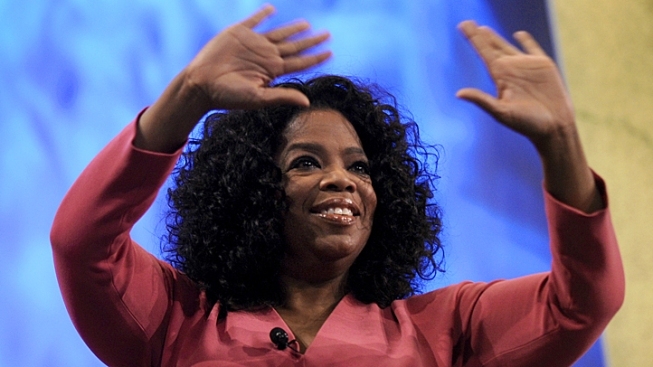 Oprah Winfrey is headed to the Kardashians' reality show. Oprah Winfrey is set to appear on “Keeping Up With The Kardashians” though she never “kept” up with the family until Sunday. Winfrey recently interviewed the whole clan for her show, “Oprah’s Next Chapter,” and hit it off so well with them that she agreed to make an appearance on their E! reality show, US Weekly reported. The talk show mogul has admitted that before her interview with the Kardashians she “had never met them, nor seen the show." Winfrey wrote on Facebook that she "did a full on Kardashian Kram in preparation, watching major shows from every season.” It was “the longest interviewing session I can recall” and “another level of forthrightness and honesty,” Winfrey wrote. In the two-part interview, the reality stars spilled details about their controversial lives and Winfrey was moved, Us Weekly reported. Kim Kardashian opened up about her current relationship to Kanye West and public divorce from Kris Humphries. “I’ve obviously made plenty of mistakes in my lifetime, but I’m not the type to sit and beat myself up over it. If a real lesson was learned, I’m so okay with having experienced that,” she told Winfrey in reference to her 72-day marriage to Humphries. “That is so perfect I could weep,” Winfrey said. “Keeping Up With The Kardashians” is currently on its seventh season and will stay on air through its ninth, according to IMDB.